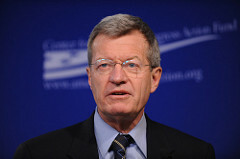 Baucus insisted that the bill would cross the finish line, which would require both Senate passage and a successful conference with the House. "There’s no doubt that this Congress is going to pass climate change legislation," he said. "I don’t know if it’s going to be this year. Probably next year." That's fairly newsworthy, especially since, in recent weeks, various centrist Democrats have been talking about laying the issue aside for now. West Virginia's Jay Rockefeller recently told Politico that a cap on carbon might have to wait until after the 2010 midterms. And Nebraska's Ben Nelson has flatly stated that a climate bill won't pass this Congress. Evidently, Baucus disagrees—and his views do carry some weight. Not only does he chair the Finance Committee, which will do the heavy legwork in deciding how the pollution permits are allocated under a cap-and-trade bill, but he comes from a big coal-mining state and his support will mean a lot to other jittery coal senators (much like how, in the House, Virginia Congressman Rick Boucher's blessing helped convince a lot of Democrats from coal districts to support the Waxman-Markey bill). 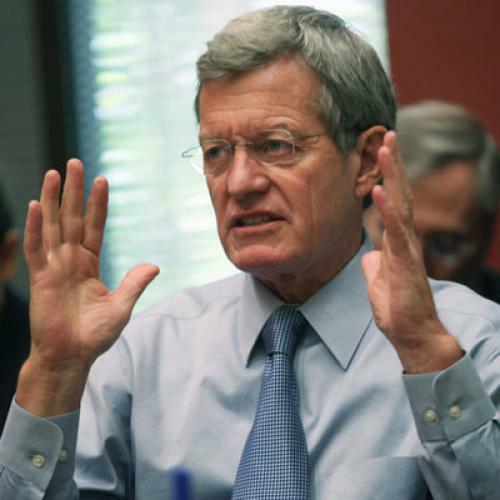 The flip side, naturally, is that Baucus wants a less ambitious bill—he's already insisted that the current goal of cutting emissions 20 percent by 2020 is too stringent. On a related note, Ben Nelson's comment today that lawmakers may have to postpone climate legislation because of the awful jobs picture seems awry. For one, even if Congress passed cap-and-trade tomorrow, the program wouldn't take effect until at least 2012—long after the recession had subsided. And, in the meantime, the surety that a price on carbon was on the way could have a short-term stimulative effect by spurring new investments. As Chuck Gray, the executive director of the National Association of Regulatory Utility Commissioners, argued last year, the swirling uncertainty over future carbon prices has been preventing many utilities from planning and financing new projects.